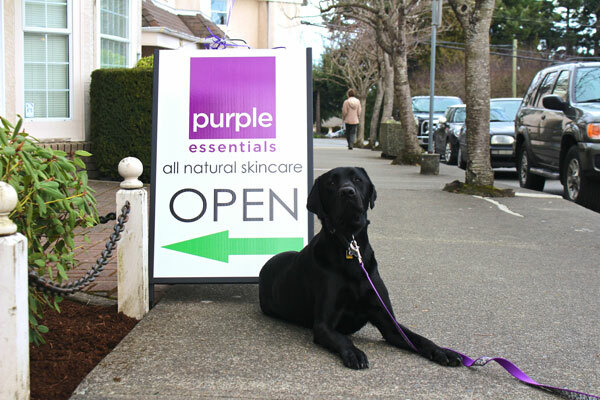 Hey Qualicum Beach and Parksville, BC Shoppers - Shop Online and Purple Essentials Delivers!! Firstly, thanks to all of our new, Vancouver Island clients who have joined the Purple Essentials family! Since arriving in BC in October, finally opening our Fresh & Natural boutique and holistic studio at 663 Beach Road in Qualicum Beach mid-January, we have been touched by the sense of community and belonging ... we are so proud to call Vancouver Island our home! to an array of skin and wellness challenges. Our extensive line of aromatherapy based, natural skin care and body care products, are handmade from scratch in small batches, using natural and nourishing ingredients to ensure quality and freshness. They are then hand poured and packaged, giving every attention to detail, in Qualicum Beach, BC - Proudly Canadian. 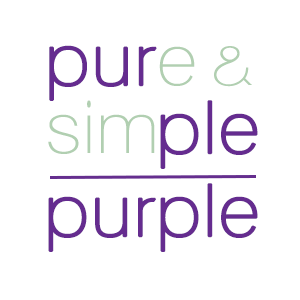 For those not able to visit our studio in person, our website - purple-essentials.com - is a full e-commerce store with ssl certificate protection - shop online and we will ship it directly to you! Orders over $100 are shipped free anywhere in Canada and the US. "The ONLY baby powder I will use. Once I started using Purple Essentials Baby Powder, it's the only one I will use. No talc or corn starch, hard to find products without either of these ingredients on the market. Great consistency. Have reordered over 5 times already. LOVE IT! Worth the price." AND, to make your shopping experience even more convenient, Purple Essentials offers both pickup and delivery options for local clients. Pickup - shop online and checkout with the option to pickup at our studio - we will send you a confirmation email when your package is ready to go ... no extra fee, and you may find the odd promotion to take advantage of that was offered online only. Delivery - yep, we deliver! 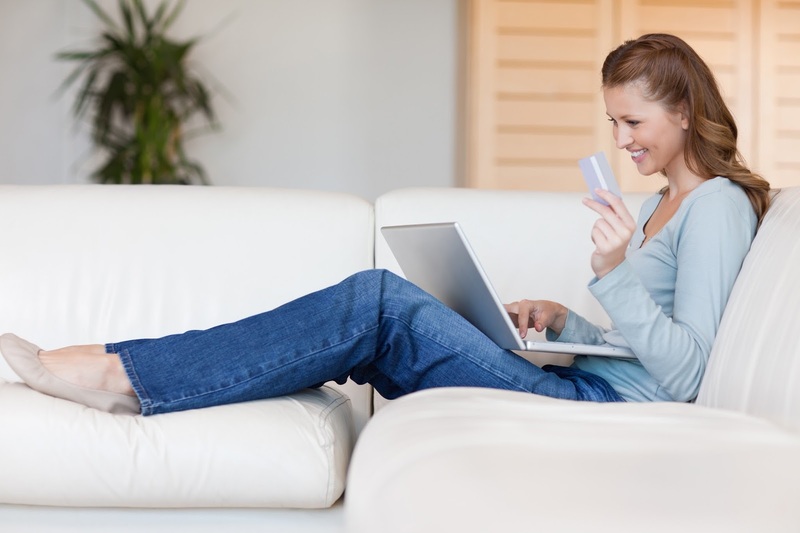 Shop online and checkout with the option of delivery and we will deliver your package right to your door! A small fee applies and it is only valid for Qualicum Beach and Parksville addresses. 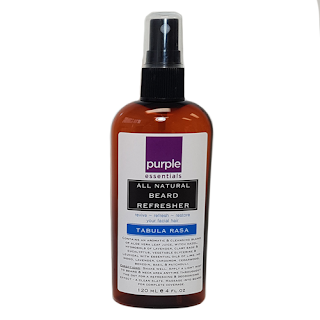 Time and again, our customers have remarked on how using Purple Essentials products leaves them feeling like they have done something GOOD for themselves. Grow it with Care ~ Wear it with Pride! A beard is more than just facial hair, it can be an integral part of a man’s personality - a style statement. They come in a wide variety of shapes and sizes – short or long... longer, full or sparse, with or without a stash - just search online for “beard style” pictures … who knew? 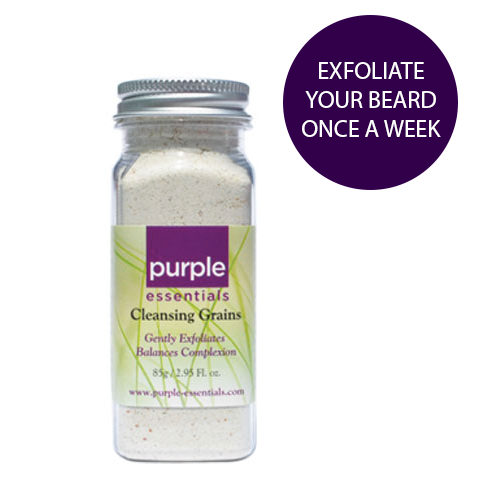 Whatever it is to you, or your man, the primary goal of Purple Essentials' Skin Care for Men is to nurture and nourish that manly face - help your beard reach its full potential ... we're also really helpful at preventing the look of “neglected human”. Don’t Give Up! Many guys who attempt to grow beards may give up prematurely because they didn't appreciate the importance of proper grooming (aka beard care) – don’t let this be you! By neglecting your beard, i.e.“letting it grow and see what happens”, you risk creating awkward/irritating facial hair – course, dry hairs that can end up pointing in all different directions. And when this happens, it can have a tendency to make a beard look thin in areas - patchy, giving the illusion that a guy is unable to grow a full beard. Nurture it from the start and you may be surprised at just how well your beard evolves. Wow – That’s a Lot of Hair! In a 24 hr cycle, the average male’s approximately 25,000 facial hairs grows about ½ millimeter (especially apparent on weekends ;-) ). With that considerable hair growth, it’s important to possess the know-how to best care for and groom, your beard or stache - from peach fuzz thru to rebellious bristles. Not to mention, facial hair is a natural habitat for all kinds of dirt and bacteria which can often result in unpleasant & embarrassing odours – we can help with that too! You’re Convinced – Now What? When it comes to beard care, there's a fine line between smooth/effortless and unkempt/wild. And, despite what you might imagine, the distinction between the two isn't solely based on the amount of facial fuzz you can grow. 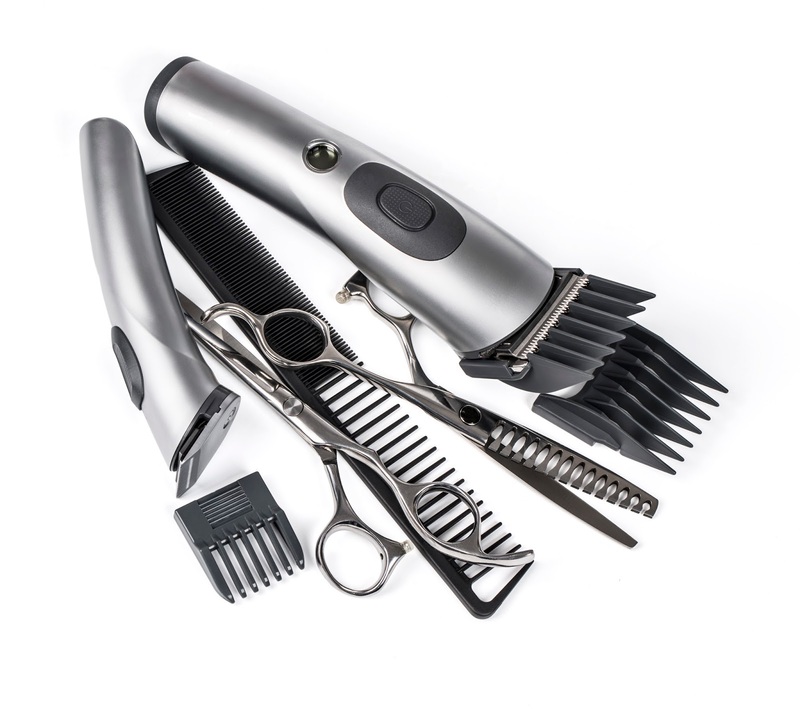 Equally important is both the type and quality of products you use, and the maintenance routine you commit to. For the best results, don’t be cheap or lazy – go all in! Between washes, your beard is constantly subjected to the elements - food, drink, wind ... cold sniffles. The associated bacteria and germs are always looking for a cozy spot to nest, especially around the nose and mouth - right where you have been grooming your masterpiece. To keep your beard fresh, clean and smelling great all day, Purple Essentials is excited to introduce the first of two, new face care products for men – All Natural Beard Refresher! A very important step in maintaining a tamed beard ... keep it neat and tidy. Not all hairs grow at the same length, or in the same direction, so keep the scissors and clipper handy. It’s ideal to trim after a shower and when your beard is fully dry, but before you apply any oils - your hairs are hydrated and clean ... easier to cut. Use the clippers to trim shorter on neck and checks, fading to longer chin hair. Grab the scissors to attack any stragglers. To keep your beard looking the best it can, you will want to invest in a good quality beard oil. Used daily it will not only condition, soften and protect your facial hair, but it will also hydrate the skin beneath, reducing itchiness and irritation ... bye-bye “beardruff”. The best time to apply a beard oil is after you wash, while your beard is still a bit damp. Normally a few drops will do - use your fingers to work the oil through your facial hair and into the skin beneath. Finding the right oil is the key to balancing the health of both your beard and the you beneath! 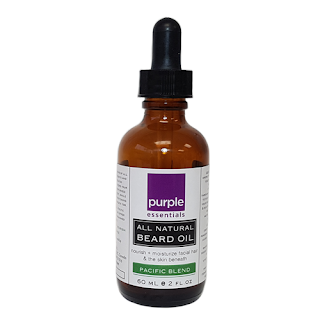 Introducing Purple Essentials' second new product for men's face care, one that we know is going to completely elevate and amplify your overall wellbeing ... All Natural Beard Oil - Pacific Blend. We believe this premium beard oil is the highest quality, all natural blend of nourishing plant oils and pure essential oils available to care for your face. Designed to be very lightweight and quickly absorbing, our Pacific Blend Beard Oil will keep your beard looking healthy and feeling extremely touchable, while nourishing and nurturing the skin beneath. Organic Jojoba Oil - helps firm, tighten and moisturize skin, with long-lasting effects. Evening Primrose Oil - helps to soften skin, while acting as a hair follicle strengthener. Lavender is well known for its anti-inflammatory and antiseptic properties that can fight the bacteria that cause acne and skin inflammation, along with its natural ability to promote strong hair growth while fighting, again, the dreaded "beardruff". Frankincense's mythical list of benefits includes cell rejuvenation, skin and hair conditioner, and hair follicle strengthener. Ho Wood has analgesic, anti-inflammatory & antibacterial properties. Cedarwood has a calming effect on the mind and helps minimize skin irritation or itchiness. Together, the premium ingredients of Purple Essentials' All Natural Beard Oil work to give both your facial hair and your complexion, a fabulous scent and a ultra-healthy appearance. "This is the greatest beard oil I have ever used - smells great, lasts all day and no itchiness ... this is going to be huge!"